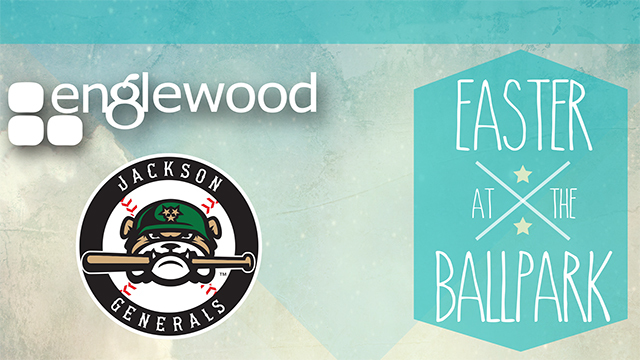 Jackson, Tenn. - The Jackson Generals are proud to partner with Englewood Baptist Church on Easter Weekend festivities at the Ballpark in Jackson. The church will a concert and fireworks show on Saturday, April 4 and a service and egg hunt on Easter Sunday. Admission to all events is free of charge. The weekend will begin on Saturday night with a concert headlined by contemporary Christian music artist Travis Cottrell at 7 pm. Cottrell has been nominated for 16 GMA Dove Awards in his musical career, winning two times. His 2011 single "When the Stars Burn Down" debuted atop the Billboard Praise and Worship Chart. He currently serves as the Worship Pastor at Englewood Baptist Church. "We are extremely excited to host Englewood Baptist Church at our ballpark Easter weekend," Generals' General Manager Jason Compton said. "This a fantastic opportunity for the Generals. We hope that the Ballpark at Jackson can be a venue for more events like this in the future." This is the first time the Generals have hosted Englewood's Easter Services. For more information on the weekend's events, visit englewoodeaster.com.